In 1984, when Jim Koch started Boston Beer Company, maker of Sam Adams craft beer, he had wild and crazy dreams of doing $1 million in annual sales. That would mean selling about 5,000 barrels of beer and having a staff that topped out at about eight employees. In 2013, Boston Beer Company had revenues of $739 million, sold 3.4 million barrels of beer and had over 1,100 employees. Despite the once unthinkable success of its Samuel Adams brand, the Boston brew house is still a wee drop in the bucket of the beer industry overall. As Boston Beer celebrates its 30th anniversary, it tops out at about 1 percent of the U.S. beer market, according to the company. Last year, brewing giants MillerCoors and Anheuser-Busch InBev earned $7.8 billion and $43.2 billion, respectively. Koch (pronounced “Cook”) and his Sam Adams beer ignited the craft brewing movement in the United States. Koch's father was a brewmaster, as were the previous four generations of Koch’s before him, but when Koch told his dad that he planned to pursue the family dream, his father was unenthused. "I thought he would maybe put his arm around me or give me a hug or something like that, and he just shook his head and looked at me and said, ‘Jim, you have done some stupid things, this is just about the stupidest,’” Koch said. There was real reason for his concern. When his father had graduated from brewmaster school in 1948, there were 1,000 brew houses in the U.S. By 1984, when Koch decided to become a brewer, there were but 50, said Koch. Beer had become an industry of behemoths. Koch was convinced that he could change the industry. 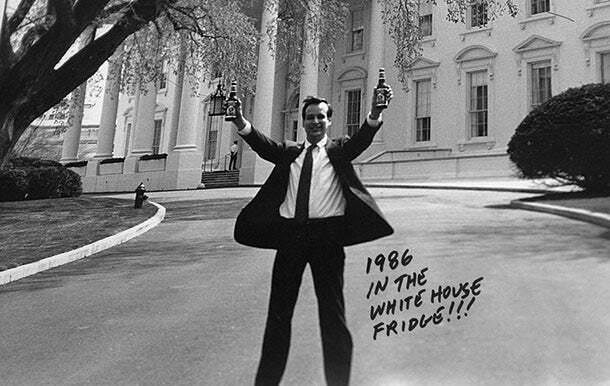 He had visions of giving U.S. beer drinkers something they did not have at the time: rich, flavorful beer delivered fresh. And so he got to work, brewing his great-great grandfather's recipe for Louis Koch Lager from his kitchen table. Koch celebrating an early achievement. As it grew, Koch took great pains to keep the culture of his kitchen-table operation alive. He remembers taking as long as 18 months to find just the right sales representative for Arizona. “That was maybe 15 years ago. She is still with us today,” Koch said with pride. Hiring is a slow and careful process at Boston Beer Company. Potential hires are sought out for culture and values above resume lines and previous experience. Koch says he knows almost all of the 1,000 employees by name. As the Boston Beer Company has grown, so too has the craft beer business. From 2010 through 2014, estimated revenue growth in the craft beer industry is 12.6 percent per year on average, according to a recent report from Los Angeles-based industry research firm, IBISWorld. The Boston Beer Company has a loan and mentorship program, Brewing the American Dream, that supports small hospitality and beer businesses. In a way, Koch is helping his competition. But the way he looks at it, the better the craft beer business does overall, the better Sam Adams will do, too. Today, 3,000 craft brewers have between 7 and 8 percent of the U.S. beer market. Koch would like to see the industry double that. He considers it his duty to bring along the upstarts.